Living in Nigeria is not completely without risks. The most important danger is to travel by road. The road to Ugwueke is still partly a mud road. In the rainy season, this looks like a river that is at times “dry”. The tarred road to Umuahia or to Ugwueke, has potholes in many places. At some places the road has partly been washed away (erosion). Some vehicles -lorries and trailers – use to take priority when there is a blockage on the road. Long distance travelling is therefore quite stressful and it takes much time. The problems with Boko Haram and the kidnappings may deter people outside Nigeria, however for us they are not a serious problem. The Motherless Babies Home has seen another year. Last year the number of babies was 30, which is the highest since Mary has been there. Many babies come shortly after birth. Because of the age of babies, sicknesses – especially malaria and gastroenteritis – are a big challenge. With the opening of the Methodist Hospital at the Colony, the babies can be attended to nearby in the home. Gastroenteritis is a killer. In the morning the child is all right, but in the evening, the child can be in a serious condition. Another challenge is the “repatriation” of the older babies to their families. The Father or other family members do not show up or cannot be reached. None of the families has ever paid the minimal fees of the home. The agreed age limit is until the age of 3 years. The older children have to attend school. The accommodation is not suitable for the older children. The church is thinking of adopting the older children out as the MBH is not a good place to stay. In November 2014, Hans started work at the hospital at the Colony (Nkechi Rosalind Colwell Methodist Hospital Imenyi). At first there was only a doctor on two days. Since the posting of several youth coppers patients can come every day. The basic structures are in place. But many more staff houses are needed. At present there are about 15 auxiliary nurses, 5 youth coppers, one administrative staff and one doctor. Hans goes to the hospital 2 days per week. Besides the 2 days at Colony, Hans works 4 days at Ugwueke. There are four other doctors. Most of the time, Hans stays in the theatre doing surgery with one of the doctors. Because of the absence of any grants, the theatre work is essential for the survival of the hospitals. In due course, Hans wants to start also surgery at Colony too. It is not always possible to work at two locations. 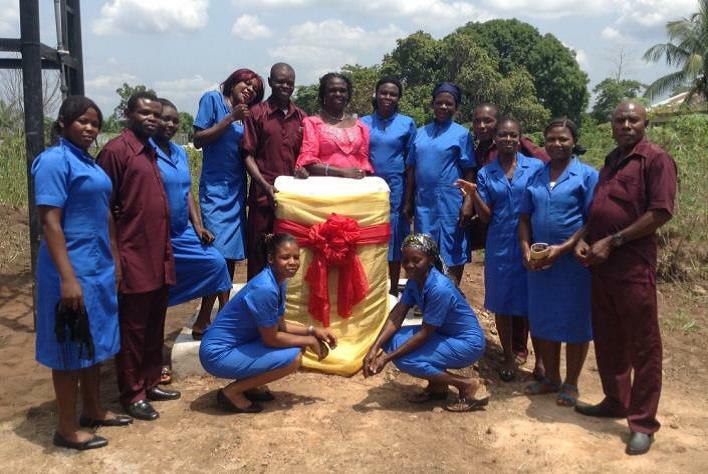 Although work must continue at Ugwueke, because of its location, the hospital at Colony is much more accessible. Because of the medical work that was being done by Hans, the prelate of MCN honoured him with the title of “Knight of John Wesley”. This is the highest title of honour in the church for a layperson. 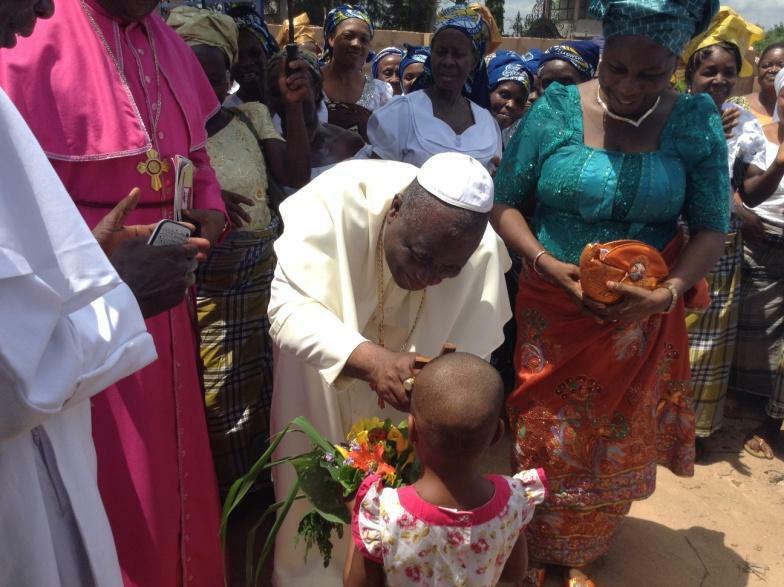 This ceremony took place two weeks later in Okigwe, the home archdiocese of the prelate. A strong delegation from the hospital at Ugwueke and several church members from Colony undertook the travel to the location. The ceremony made a deep impression on us. Hans was honoured as a Knight, Mary honoured as a lady of a Knight. Some of Mary’s family had come from Jos. Two days later, we had a Thanksgiving service in the church at Colony with a small party at home. We thank God for always being with us and helping us through these dangerous moments. We also thank Him for being with the children in Jos while we are doing our work in Colony Uzuakoli.